This week, with some Irish friends visiting for the rugby and a burst of some incredible springtime weather, we spent a lovely day at Taronga Zoo. Definitely one of my favourite spots in town and quite appropriate for the Lions fans. 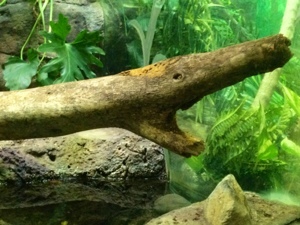 Anyways, no pics of the animals today – but the tree trunk that I saw in the reptile exhibit. I was so taken with it, I almost didn’t notice the giant boa constrictor that I was meant to be checking out. 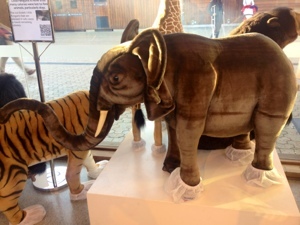 Oh and some large toy animals in the Zoo shop wearing booties. Just because.